For those of you not aware of our Building Inspection Services Board (BISB) I wanted to take time to introduce you to Don Reed, our Chief Building Official (CBO) and Building Inspector, Richard Cook. They are available for your building and renovation needs by phone or in person at the municipal office in Tweed every Monday from 2-4 p.m. and Wednesdays from 9-11 a.m. The Building Inspection Services Board’s (BISB) catchment area includes the Municipality of Tweed, Stirling, Tyendinaga, Deseronto and Madoc Township (known as The Fab 5 by CBO, Don Reid). 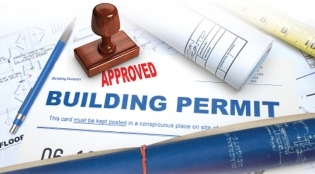 So far in 2016 there have been 187 permits issued in the Municipality of Tweed of which 14 were new house builds. Total construction value to date is $4,639,350. Don says “this is the 2nd best year in the Board’s history with last year being the best”. The entire ‘Fab 5’ group has issued 566 permits with a total construction value of $18,600,940, most of which were residential. WOW! Our local economy gets a huge spin off because of the jobs produced and the materials purchased for all of the building and renovations done. There is already a big project in place for the spring of 2017 when the Gateway Community Health Centre will start a 10 million dollar addition and renovation to their existing building.